New siding, along with a well-maintained roof, can increase your home's value and dramatically improve your home's curb appeal. Complete Home Solutions is your one-stop source in D.C. & MD for all of your roofing and siding needs! We specialize in quality vinyl siding installation in Annapolis, Glen Burnie, Pasadena and nearby. Made primarily from PVC (polyvinyl chloride) resins, vinyl siding was first manufactured in the 1950s but wasn't widely used until the late 1970s. 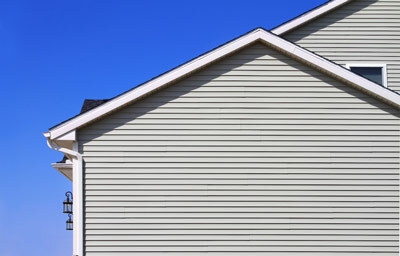 In better-quality vinyl siding, wood-grain surface texture can make the product look surprisingly like real wood. Better grades of vinyl siding also tend to be thicker, for improved rigidity and greater impact resistance. Here at Complete Home Solutions, we can install home siding to suit your style and budget. Contact us today to get started! The overall impression created by new siding is as much about trim details as it is the siding itself. In a truly professional installation, the corner trim, J-channels, soffit panels, gutters, and downspouts all look good together. Compatible colored caulks and sealants should also be used. Make sure to discuss these details along with your siding choices when planning your new siding installation. We are D.C. & MD's expert siding contractor, working in Glen Burnie, Pasadena, Annapolis, Annapolis, Rockville, Bethesda, Bowie, Waldorf, Laurel, Upper Marlboro and many nearby towns and cities throughout Maryland. For a vinyl siding price estimate, contact Complete Home Solutions by phone at 1-855-247-9984 or contact us online today!